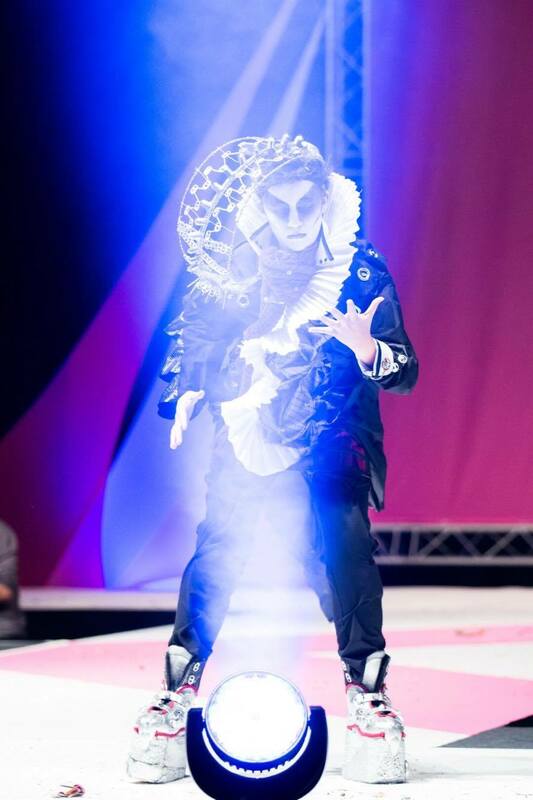 Junk Kouture winner and designer Mariusz Malon shares his style secrets with Donegal Woman. 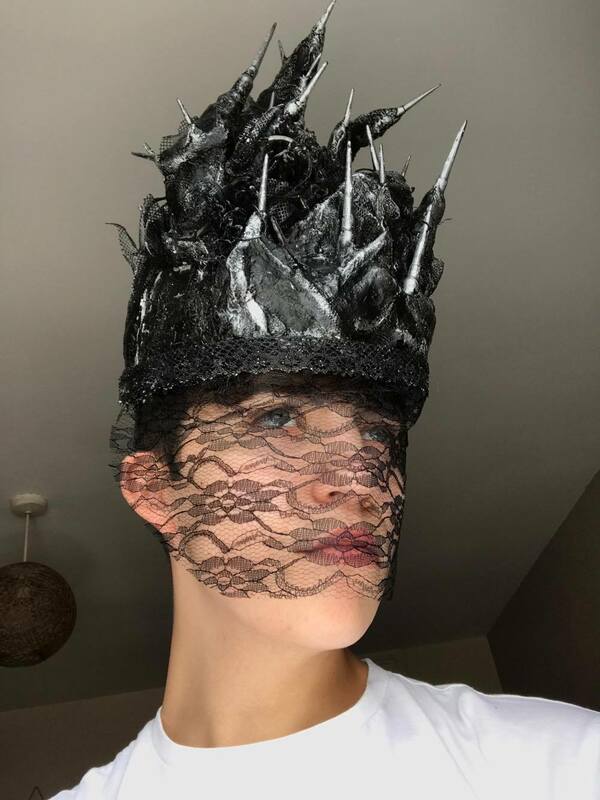 Oringally from Poland, Mariusz lives in Buncrana and is currently working on exciting projects such as making headpieces for the races and avant garde headpieces for photoshoots. 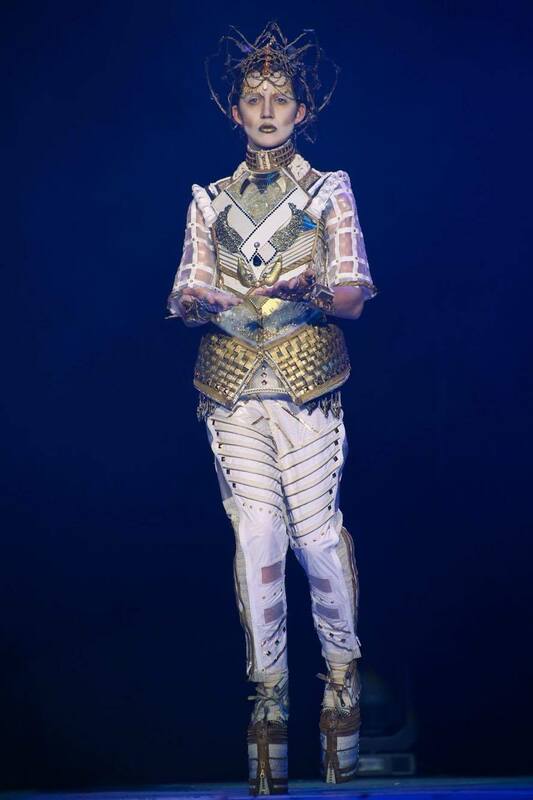 Having entered the national fashion competition Junk Kouture three times, each time he has scooped an award. 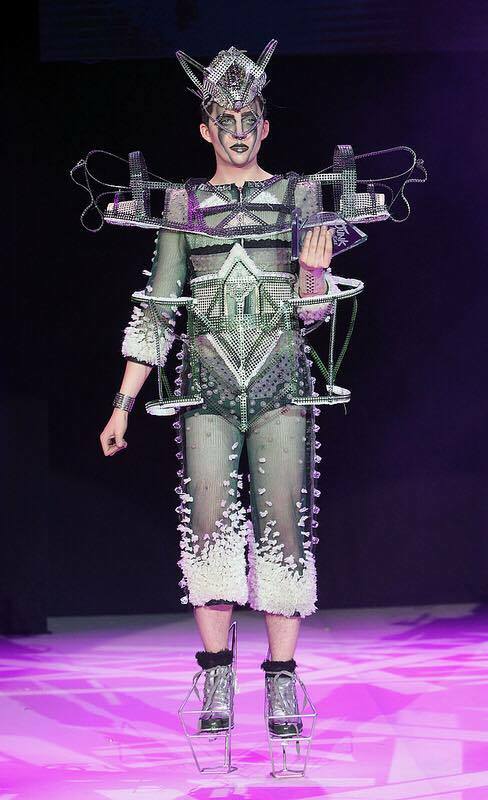 In 2014, he won the Most Promising Designer award and completed a fashion course in Limerick. 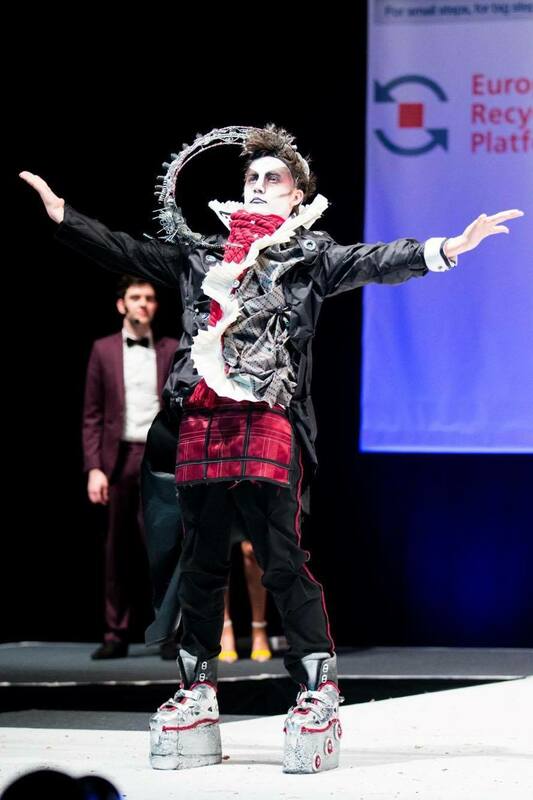 Two years later, he won the Northern Region Overall category and attained a scholarship to Limerick College of Fashion and Art. 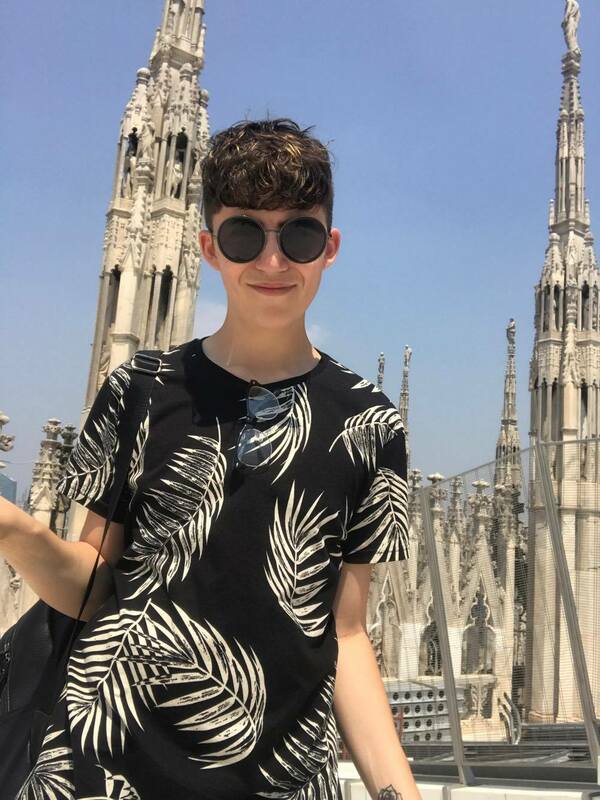 This year he came away with the top award – winning the overall prize and another scholarship to Griffith College in Dublin. 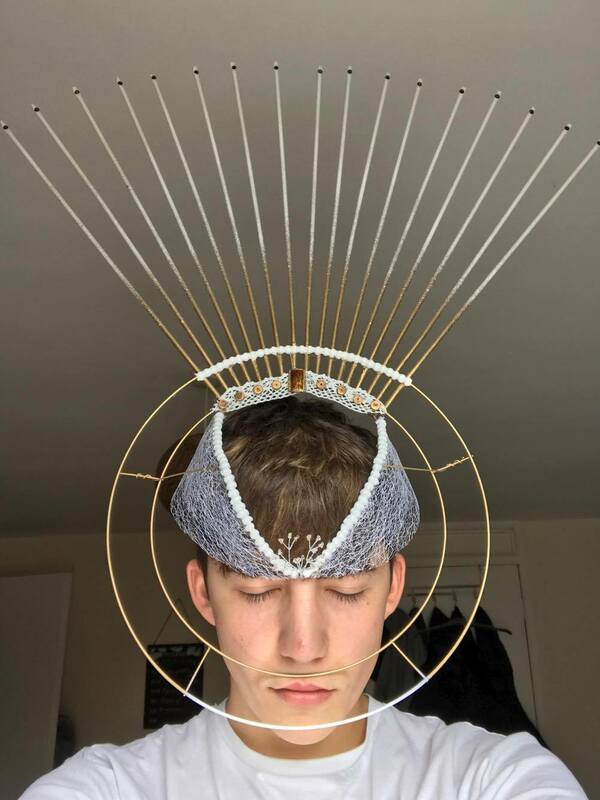 His plans for the future are to team up with a fashion designer for work experience and to focus on commissioned headpieces. 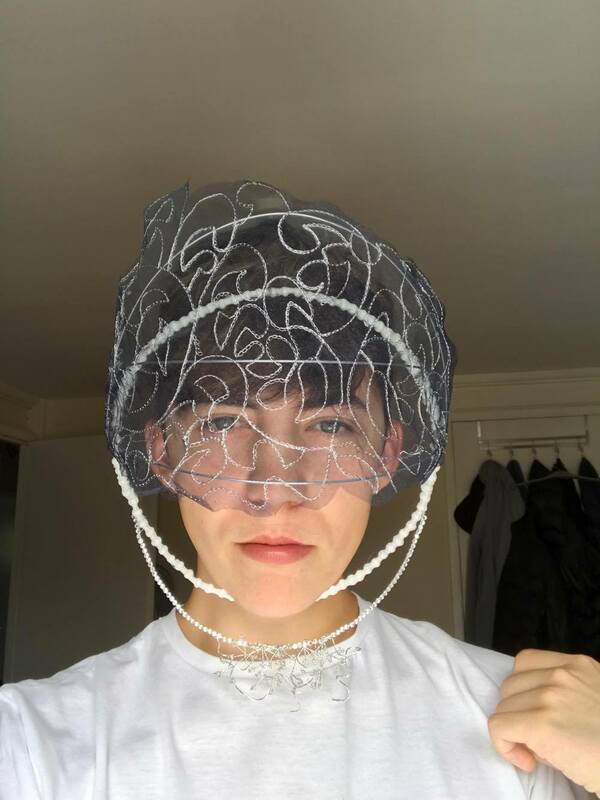 This eighteen-year-old virtuoso designer has been tipped to be the next Alexander McQueen, and it’s a sure bet that this budding creator has a spectacular future ahead of him. My personal style is definitely not always the same it changes depending on my mood or the current trends, usually I like to match my colours and textures and have something wacky in my outfit when I feel confident enough. 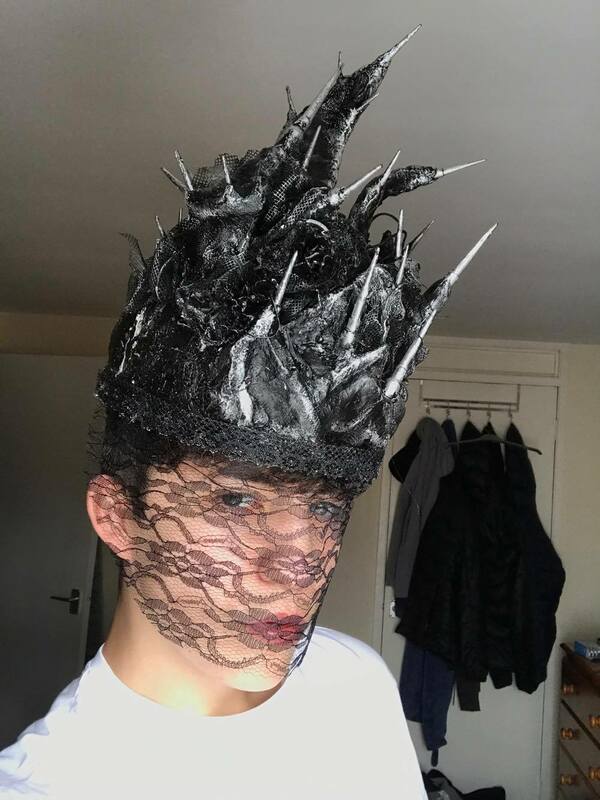 I don’t really have a style icon usually I like to be original and wear what I like, but after spending some time with James Kavanagh in Monaco during the Junk Kouture trip to Cannes I really loved his sense of style and will definitely get some inspiration from him in the future! 3. What is your favourite piece of clothing? My favourite pieces of clothing because I couldn’t just choose one are my vintage lace shirts which I bought from Asos! And this vintage suede jacket with Borg material on the inside. 4. What inspires you when choosing an outfit? Sometimes my parents when they were younger inspire me with my choices of outfits! Sometimes the things I like inspire me for my outfits like this one time I went to the zoo and saw the flamingos I loved the colours and their shapes so I decided to embroider a big pink flamingo onto my trousers when I got home, I do this a lot where I would alter my clothes to make them the way I like them. 5. 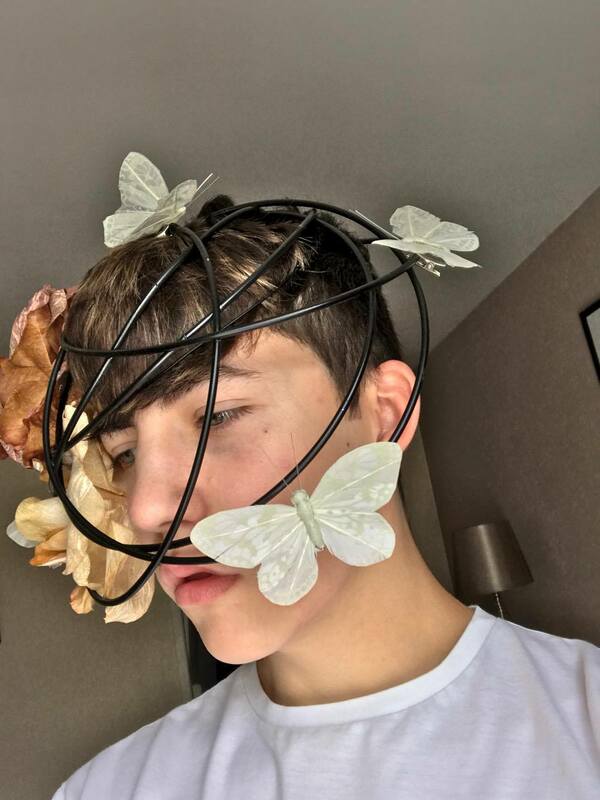 How would you accessorise a look? I usually like to accessorise my outfits with backpacks which are always handy or hats and sunglasses, I always think that jackets and shoes make the outfit so I like to choose them carefully when I go out somewhere. 6. What is your most recent fashion purchase? My most recents buys are a leather Prada backpack bought in Milan and a monochrome black and white mesh top with 1/4 length sleeves. 7. Where do you usually shop for clothing? I like to to stay fashionable but not put a strain in my wallet but when I see something I like which is really expensive I would usually research and try and find a cheaper version of that thing, but shops that I enjoy shopping at are definitely H&M, Topman and occasionally Urban Outfitters, for online my all time favourite shop is Asos where I get most of my clothing. 8. Do you have any favourite local fashion boutiques? I love Tara Henderson boutique, her style is unbelievably modern and different, I don’t shop there because it’s all for females but I definitely recommend it to my friends. 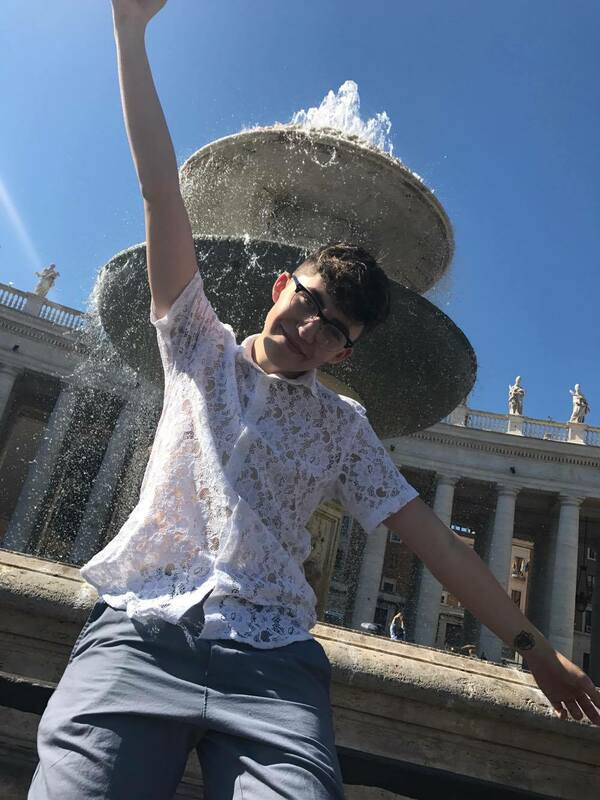 I love the lacey shirts, embroidered tops, and my flower print shirt. 10. Do you follow trends? I like to follow the current trends but put my own spin on them and make it more me. 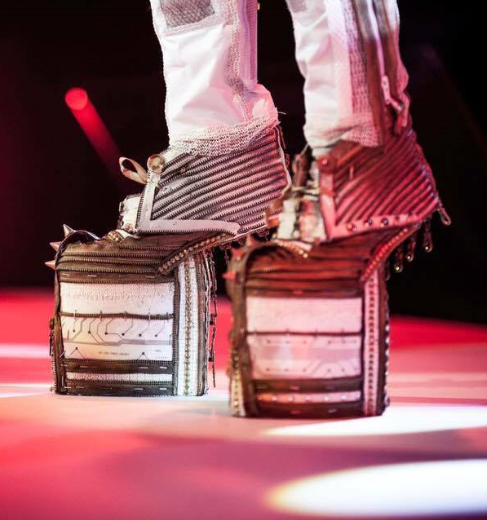 Heels because when I created my Junk Kouture pieces I always liked to make the shoes stand out and make them pop! 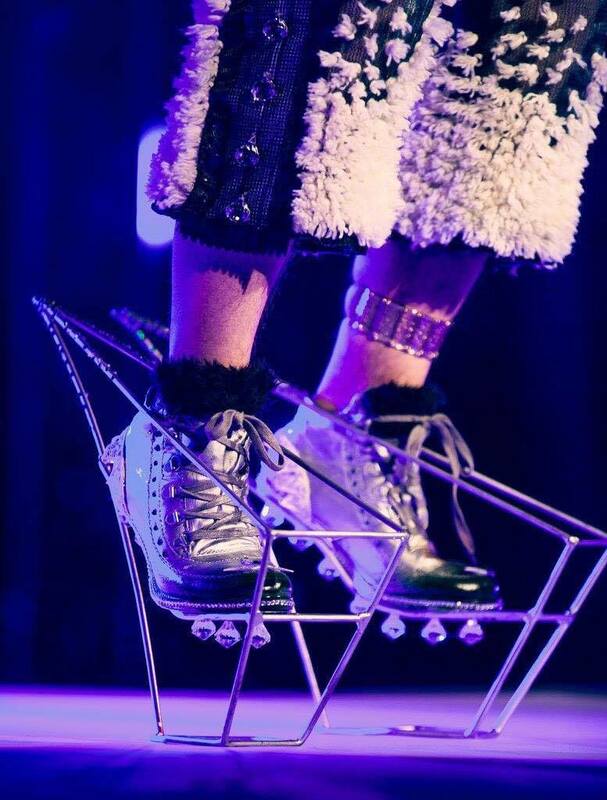 I like to say that the higher the better and as it says on my Instagram “If all else fails make the shoes higher and slay”. Definitely shoes maybe because I don’t own any handbags but I think if I did own any I’d still love the shoes more. 13. What is the best piece of fashion advice you’ve ever heard? This is gonna sound cliché but I was told one time that if it doesn’t feel like you, don’t force yourself and that if you have your own style there’s no need to try and be someone else. 14. What do you think about the fashion scene in Donegal? What fashion scene? 😂 But seriously it’s not that bad it has its own natural charm and it’s getting more modern in the past few years more young people like to go for more striking looks to stand out from the crowds. 15. What has been your best investment piece? I love the Prada bag I got in Milan it’s definitely an investment I don’t regret. 16. What’s the wackiest item you own? Do my Junk Kouture outfits count? Because that’s where I like the express my wacky outrageous side! 17. If you could wear only one outfit for the rest of your life, what would it be? 18. What has been your biggest fashion faux-pas? 19. If money wasn’t a factor, what would you buy? I’d love to buy some outrageous one of a kind pieces from famous designers! 20. How do you feel when you’re in your favourite outfit? I feel strong and powerful – definitely makes me more confident, sometimes even an inner sassy me comes out (which is 90% of the time)! To keep up with Mariusz you can find him on Instagram! Follow his fashion account @mariuszmalon and his personal account @mariusz3095.